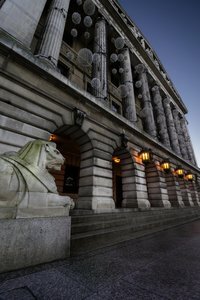 Nottingham City Council held a dedicated forum for Landlords in November 2018. The concept of a bespoke Landlord forum was refreshed and relaunched after feedback from Landlords earlier in the year, where many of you asked for more direct dialogue with the Council. As promised, we formulated and tailored the forum to their needs and had a hugely positive response. The forum was supported by organisations such as East Midlands Property Owners (EMPO), R Galloway and the National Landlord Association (NLA) who all presented at the event. We would like to thank them for their time, commitment and presentations. With over 100 Landlords in attendance, it was a chance for landlords to meet some of the senior leaders in the Council, discuss ongoing concerns and network with key partners and stakeholders. We are fully committed to deliver further events for landlords, tenants and partners throughout 2019. If you would like to attend future events and/or would like to see specific topics covered, please get in touch. We would be delighted to hear from you. We’re still looking for more landlords who can help house homeless households, and our Nottingham Private Rented Assistance Scheme (NPRAS), based at Housing Aid, aims to help people who’ve become homeless, often through no fault of their own, but have turned to the Council for help. The new selective licensing team is sieving through the thousands of applications we have received since the 1st of August 2018. Thank you to all those who applied on time. It is important that you do not panic if your application is ‘rejected’. Many times this could be for a minor technical issue such as not putting down all those who have an interest in the property or the wrong mortgage details. If you do receive a refusal notification then it will have the reasons for refusing and give you a chance to rectify the error with no extra cost. We are obliged to review each application independently and accurately, and we are also here to assist you. If you haven’t applied or know someone who hasn’t applied we urge that you contact us immediately to avoid fines and prosecution. Additional Licensing was first introduced on a five-year basis in 2014, with a new scheme starting on 1 January this year in parts of Arboretum, Dunkirk, Lenton, The Park, Radford, Hyson Green, New Basford, Hockley/Lace Market, Mapperley, Sherwood, Carrington, Wollaton Park, Sneinton and Old Meadows. Our next event will be a workshop tailored around the recently refreshed Additional Licensing scheme in the City. Again, we will be presenting alongside EMPO on Thursday 31st January 2019 at Castle Cavendish, Dorking Road, Nottingham NG7 5PN from 1pm to 4pm. Prior registration is required and we anticipate spaces being filled quickly so if you are interested, please contact Waqar Mulak for more details or to book. From 1 October 2018. The old 3-storey rule has changed. This means that any House in Multiple Occupation (HMO) with five persons in two or more households will require a licence. Recent changes to Mandatory Licensing - a national licensing scheme covering the larger HMO properties in the whole of the city - means that some properties which were under Additional licensing now come under the Mandatory scheme. One question that came up at the November landlord forum was; Why don’t we see bad landlords prosecuted? 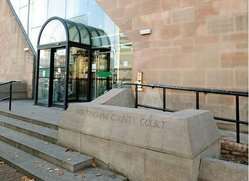 So here’s a recent case we worked on saw the landlord of an illegally evicted tenant prosecuted both by the Authority and Nottingham Law Centre at a criminal and civil hearing. Having changed the locks, without serving a proper Notice and going to Court, the landlord then refused to allow the tenant back in, avoided the Court’s injunction, and by the time he got to Court had taken legal advice so that he had no option other than to plead guilty without contesting the case. Obviously none of us want to see this kind of outcome. A tenant lost their home - experiencing homelessness and severe trauma in the process - and a landlord ended up having to pay out over £13000 and picking up a criminal record. Of course a landlord who acts like this is also highly unlikely to get a license to rent in the City, not to mention being placed on the national rogue landlord database. Our City doesn’t need it, so we’ll continue to work to uphold the integrity of lawful practice in our private rented sector, and if you need to report a rogue landlord, please contact our Safer Housing team at saferhousing@nottinghamcity.gov.uk – they’re giving decent private landlords a bad name. We’ve won backing for a new innovative data intelligence model that’ll help us challenge rogue landlord behaviour, and protect vulnerable tenants from criminal behaviour. Again, we know from the landlord forum that this matters to you because those landlords are giving your profession a bad name. In partnership with the usual organisations - such as the Police and Fire Services - the analytical software we’re working on, together with IT specialists from the University of Nottingham, will use multiple layers of data to help us prioritise high-risk properties where enforcement action may be needed.